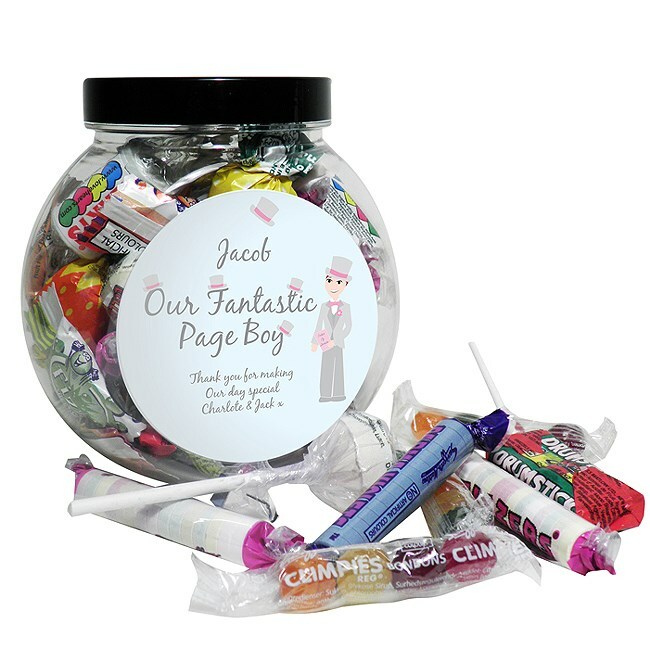 What could be better than a jar of delicious sweets for Pageboy! Personalise this fabulous pageboy design with any name up to 12 characters and a message over 3 lines, up to 20 characters per line including spaces. Please note. 'Our Fantastic Pageboy' is fixed text. If you wish to order more than 1 of these items, please add them to your basket individually.